The major problem(s) I had with my Jordana kohl eye pencil was that it was not creamy at all. It was scratchy when I applied it to my eyes and I had to go back and forth with the pencil before I could even get 'partial' pigmentation. I got the MUA intense colour eye liner pencil in hopes that it would be an upgrade to the Jordana pencil. As far as ease of application and the consistency of the product, I can say that I am quite pleased. As for the pigmentation, I'd give it a 6.5 out of 10. 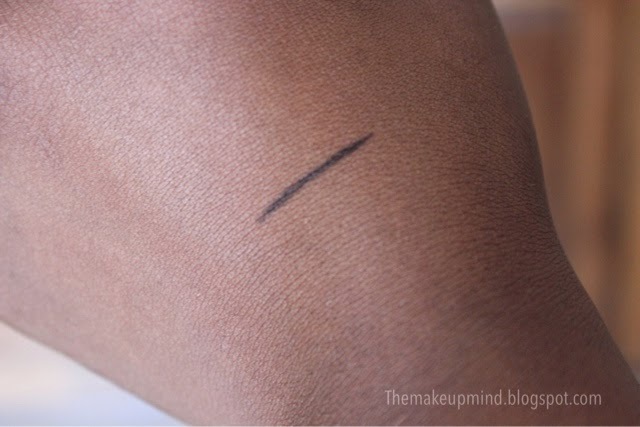 It isn't very black with one swipe (from the swatch photo above) but with two or three swipes it becomes quite black and I think it's still good because compared to some other more expensive eye pencIls out there, they aren't always quite pigmented with the first swipe either. One little problem I have with this product is that after about five hours, it begins to smudge but I think this also depends on whether your eyes get watery easily or not. I'm still in search for the perfect eye pencil. 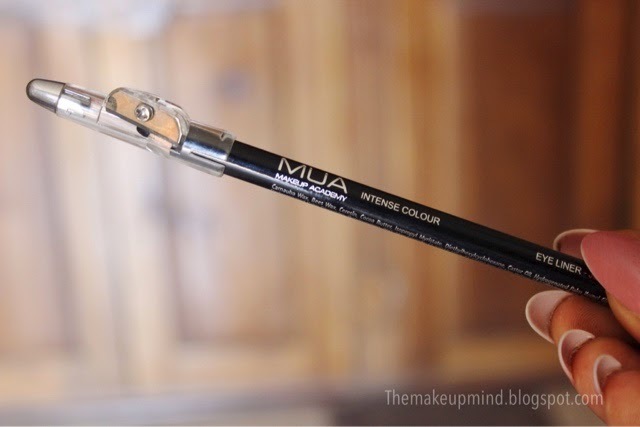 But if you are looking for a good and very cheap eye pencil, then MUA is your guy. hehehehe. 5 ways to spot fake makeup products!